Fifty Shades Film: EXCLUSIVE Sneak Peek Of What A Real Fifty Shades of Grey Script Would Look Like! 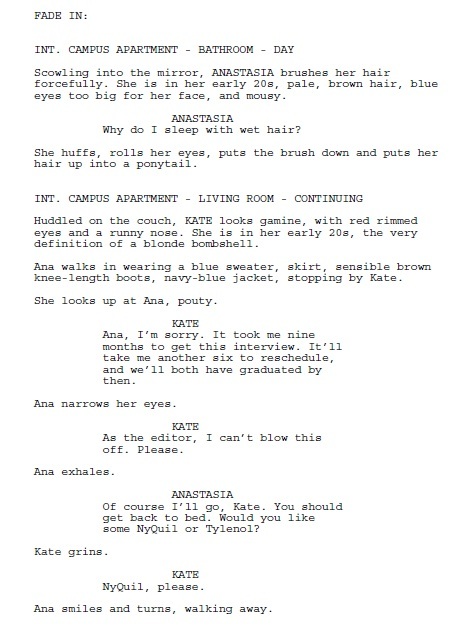 EXCLUSIVE Sneak Peek Of What A Real Fifty Shades of Grey Script Would Look Like! 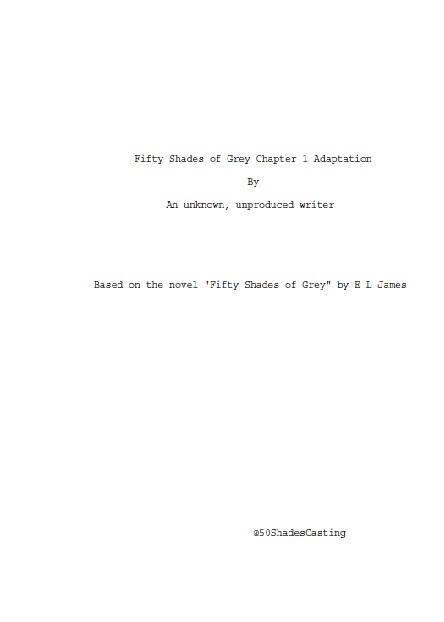 Chad of @50ShadesCasting, an aspiring script writer, sent us and EXCLUSIVE look at what the Fifty Shades of Grey script might look like as a screenplay! THIS IS NOT THE OFFICIAL SCRIPT! But Chad has worked VERY hard on working to adapt the first chapter into a screen play for us. We will be posting a few pages every day ALL WEEK! Follow us on Sulia for more installments each day. Please help us thank Chad at @50ShadesCasting for sharing this with us. It is so fun to see what the actual script might look like. Join the conversation, follow us on Twitter @FiftyShadesFilm and don't forget to like us on Facebook to see all of the fun and naughty pictures that we only post there.